Strong customer service, ease of use, and competitive rates for home loans make Quicken Loans a solid mortgage lender choice. Find out more in our review. Unless you win the lottery, you’re probably not going to pay for your dream home with a lump sum of cash you’ve been hiding under your mattress. So to make homeownership a reality, most Americans have to take out a mortgage—or a loan specifically created for buying a home—from a bank or mortgage lender. 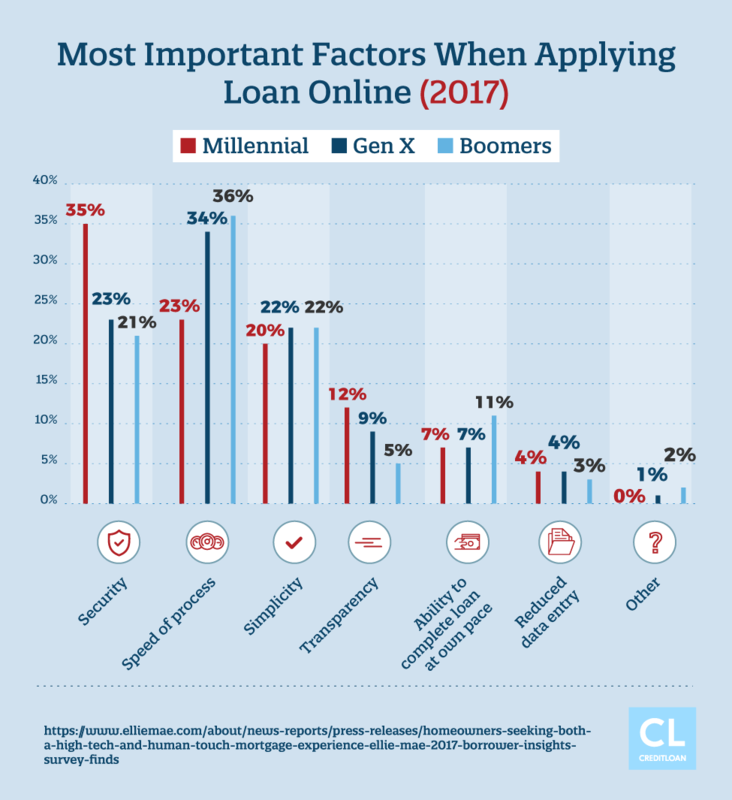 Quicken Loans caters to future and current homeowners who prefer going through this process online instead of in person. And unlike other websites, Quicken Loans doesn’t use brokers. When you start researching mortgages, be prepared for the bombardment of mortgage brokers offering to research home loans from different companies to guarantee you the lowest rates. The brokers gather your information and pass it on to mortgage providers, who then constantly call and email you. On the other hand, Quicken Loans is a direct lender, which means they connect only with their potential borrowers instead of using a middle person such as a mortgage broker. Only the trained experts at Quicken Loans will receive your personal information, eliminating spam emails and phone calls. Other mortgage lenders also engage in the practice of selling their home loans, which means you could receive approval from one company you trust only to later have to deal with another company you don’t like as much. Quicken Loans never sells their home loans so you won’t have to deal with this headache. Ready to learn more? Keep reading our review to find out if you should get a mortgage from Quicken Loans. What are the services offered by Quicken Loans? How are Quicken Loans’ ratings? How do you get the services offered by Quicken Loans? How user friendly is the home loan process at Quicken Loans? How is the customer service at Quicken Loans? Is Quicken Loans safe and legitimate to use? What are Quicken Loan’s strengths? What are Quicken Loans’ weaknesses? Quicken Loans knows mortgages better than any other company because that’s literally all they do. Most mortgages are differentiated by two factors: your interest rate and the length of your loan’s term. Your interest rate can either be fixed, which means it doesn’t ever change for the life of your mortgage; or it can be adjustable, which means it may change after a predetermined amount of time and depending on market conditions. Fixed-rate home loans guarantee that you’ll be paying the same monthly mortgage payment every month, year after year. This is especially helpful for budget-conscious planners who can’t afford a surprise payment they haven’t accounted for. When you choose an ARM, you’ll be given an initial fixed-interest rate from Quicken Loans for an agreed-upon period of time. After this time, however, your interest rate is subject to changing depending on the current market conditions. For one, ARMs usually offer the lowest possible interest rates for your initial fixed-rate time period. Quicken Loans gives borrowers five, seven, or 10 years of this fixed-rate before the interest rate changes. So if you’re only living in your current or future home for a few years—like if you’re going to flip your house, relocate for work or active duty, or plan to move during retirement—you’ll enjoy super low interest rates for the few years you’ll physically be there, saving a bundle of money. Though your interest rate may increase after this initial period, Quicken Loans will never raise it by more than 5% of your initial interest rate. You also can’t get zapped with multiple increases; Quicken Loans will only give you an interest-rate adjustment once a year. You may even get a lower interest rate depending on how the financial markets are doing. When you refinance your mortgage, it’s like signing up for a new home loan under different terms. So for instance, if you didn’t have the best credit when you first qualified for your mortgage, your steady payments and the equity you’ve earned on your current house may be able to help you qualify for a lower monthly payment, better interest rate, or even a cash-out. Plus, since interest rates are at an all-time low, you may score a better interest rate after refinancing. FHA loans are mortgages insured by the Federal Housing Administration (FHA), hence the name. Quicken Loans is the largest FHA lender and has the lowest default rate among FHA originators. These home loans are much easier to qualify for because you only need a credit score of 580 or better. They also only require a downpayment of as little as 3.5%. Plus, if you have an FHA loan and think you may be able to save even more money by refinancing, you can take part in Quicken Loans’ fast FHA Streamline refinance option. Quicken Loans is the leading originator of VA loans, which are guaranteed by the Department of Veterans Affairs. VA loans help active-duty military personnel, veterans, and their families buy the homes of their dreams. When you qualify for this loan, you’ll be entitled to lower interest rates and you’ll also have the option of buying a home without a down payment. You can even use your basic housing allowance to pay down your mortgage each month. If you have a VA home loan and you’re looking to refinance, you can refinance up to 120% of your primary home’s value with Quicken Loans. Now that you know about Quicken Loans’ home loan options, get ready to be floored by Rocket Mortgage. Quicken Loans developed their Rocket Mortgage portal to create the fastest home loan application process on the planet. To get an idea of your assets and credit info, you used to have to provide your mortgage lender with paystubs and copies of statements from your checking/savings/investment accounts. Gone are those days with Rocket Mortgage. Quicken Loans’ Rocket Mortgage has access to 95% of U.S. financial institutions. Similar to popular finance apps which let you view all your financial data—from bank accounts to credit cards—in one simple platform that travels wherever you go, you’ll log into your accounts via Rocket Mortgage and grant them permission to browse your numbers. Rocket Mortgage will also ask all three credit bureaus for a copy of your credit score and report. All this definitely beats having to wrangle these documents and send them over to a lender yourself. Since the answers are verified electronically online, you won’t wait days, or even hours; you’ll be less than 8 minutes away from receiving an answer about your home loan application. Worried about giving out this sensitive information online? Quicken Loans has 24/7 security monitoring and bank-level encryption so your private information is safe. They also happen to have pretty strict privacy guidelines to make you feel even more comfortable with the online process. When you’re done answering questions, you’ll see Rocket Mortgage’s “T-Minus” countdown display on the screen while it gathers all the mortgage options you should check out. Your results will include fixed-rate home loan options with loan terms lasting between eight and 30 years. 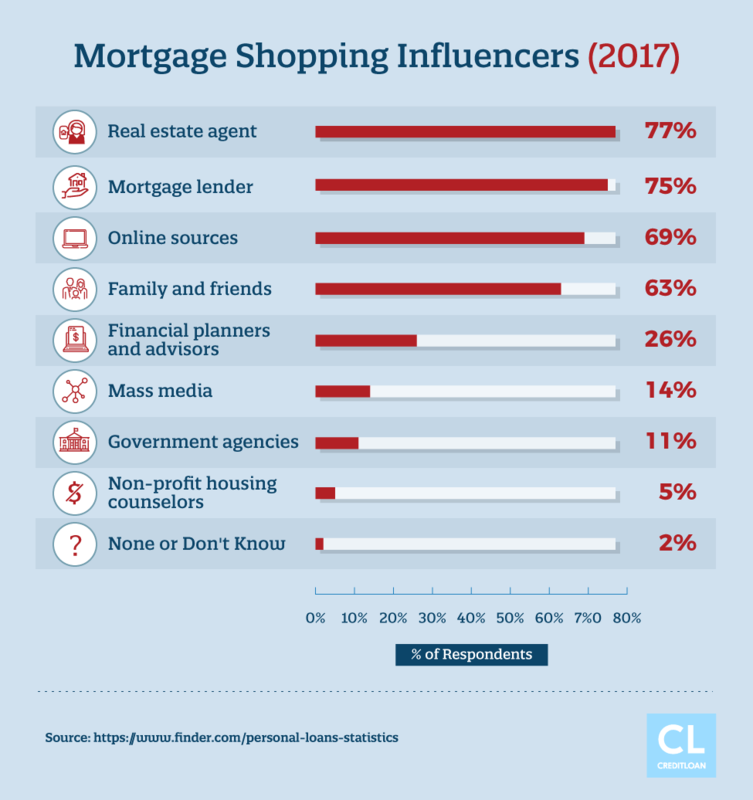 To create their self-directed buyer customer base, Rocket Mortgage will give you actual numbers for your potential mortgage payment and interest rate. When you choose your potential home loan, you’ll be given a set of customizations, or “buy points”, to fine-tune your choice. So if you want to see how your monthly payments differ with longer or shorter terms, just try it out! You’ll see real-time results based on current market conditions. Quicken Loans President Jay Farner tells CBS News, "If you go to Rocket Mortgage, you can see the interest rates, you can see the fees," he said. "You can see how changing the interest rates would change your fees." Now you can price out a home loan with specific details that matter to you: you pick your interest rate, your loan term length, and determine your own amount of points. If you’re happy with the results, lock in your mortgage rate and submit your application for approval with Rocket Mortgage’s e-sign application. If you’re approved, you could close on your home loan in as soon as one week. You’ll receive an approval that carries just as much weight as if you went to a mortgage banker or loan officer in person. You’ll know exactly how much loan you qualify for in less than 10 minutes and you can even print out your preapproval letter right from there. All the underwriting procedures we discussed earlier (in section 3) will happen after you put a purchase contract on your home. If your application happens to get denied, you can always speak with a Quicken Loans Home Loan Expert online or over the phone to see why you weren’t approved. The company branded them with a stable outlook. S&P also believes in Quicken Loans’ financial stability and gives them solid ratings as well. Quicken even earned an A+ rating from the BBB—the highest grade any company can earn. Are you looking to refinance a home you currently own or do you wish to purchase a new home? Whether you’re just researching home loan options or already signed a purchase agreement, Quicken Loans wants to know where you’re at so they can offer you the tools, guidance, and expertise to find a home loan that’s right for you. They’ll also ask for the address of the home you’re refinancing or purchasing so you only see mortgage options that are in compliance with your neighborhood’s home loan regulations. To determine your borrower eligibility, Quicken Loans needs a peek at your financials. Answer questions about the purchase price of your home and your estimated down payment. Then include information like your credit score and indicate if you qualify for a VA loan before you move on to the final step. Though you’ve already disclosed more information to Quicken Loans than you did on your last date, it’s only when you reach the last step of the application process that Quicken Loans asks for your full name, zip code, phone number, and email address. Add these key details, submit your application, and wipe the nonexistent sweat off your brow. If Quicken Loans says you’re a stellar candidate and you meet their eligibility criteria, a Home Loan Expert will contact you and complete the final moves to close on your home, like uploading all your supporting documents (pay stubs, account statements, tax forms, etc.). Do I qualify for the loans provided? A combination of any of these factors tilting in a certain direction could get you approved or denied for a mortgage. For example, if you have a crummy credit score, but you have virtually no debt and a decent income, you may see an approval while your friend with an average credit score and a pile of debt gets denied. So the easiest obstacle you can overcome before applying for a mortgage is raising your credit score. Though other lenders have different mandates, Quicken Loans requires a minimum credit score of 620 for all their conventional loans. But borrowers with credit scores higher than 580 will qualify for FHA home loans. Unfortunately, Quicken Loans also asks for a minimum 620 credit score for all VA loans even though there’s technically not a minimum score required by the VA. When you raise your credit score, you not only gain access to other types of mortgage options and sail through approval time, but you’ll also qualify for better interest rates so you save money every month too. If you can answer an online quiz about which house you’d get sorted in at Hogwarts, you can fill out a Quicken Loans application; that’s how intuitive and easy it is to use. Built on the principles of simplicity and efficiency, you just have to answer a few basic questions while the prompts guide you to mortgage options based specifically on your circumstances. 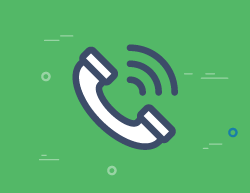 You never have to phone a lifeline like your accountant or HR rep to help you get through it. Although Quicken representatives and Home Loan Experts are always around in case you do have questions. With an ethos like that it’s no wonder Quicken Loans consistently receives all-star reviews from their customers. J.D. 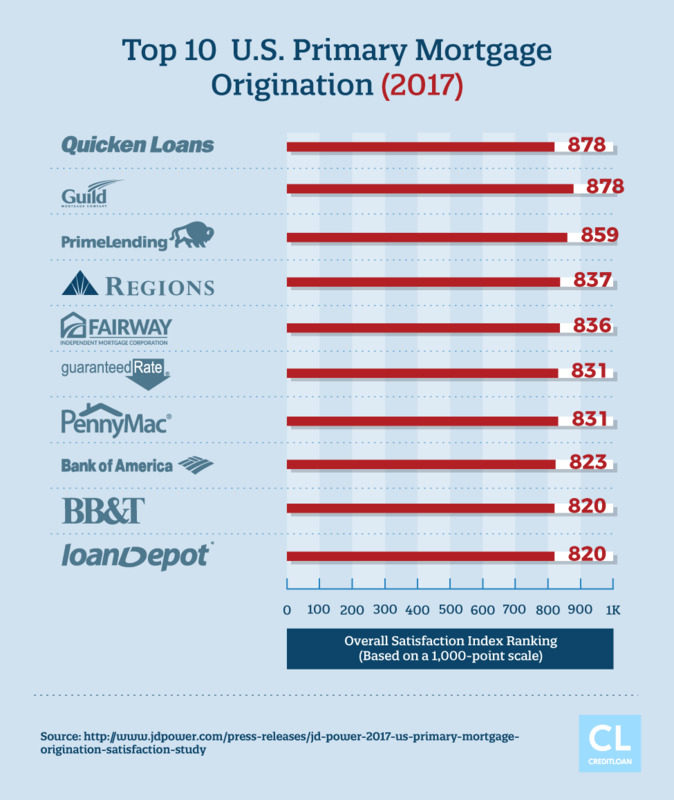 Power & Associates’ annual Primary Mortgage Origination Satisfaction Study examines customer satisfaction with the largest mortgage lenders in the U.S.
Quicken Loans took home this award every year between 2010–2016. Quicken Loans won this honor the last three years (2014–2016). A home loan is one of the biggest investments you’ll ever make in your life, so it’s easy to understand why some customers are a little leery about completing the entire mortgage process online. As the fastest-growing mortgage lender in the industry, Quicken Loans went from loaning $12 billion in 2008, to $79 billion during 2015, according to the Economist. That’s exactly why Quicken Loans earns credibility from major financial indexes, such as Standard & Poor’s (S&P) and Moody’s. Hello, affordable mortgage rates for the win! Quicken Loans is known for their competitive rates, which are currently as low as 3.25% for a 15-year fixed-rate mortgage (as of February 2017). How can Quicken Loans offer home loan interest rates that are so much lower than their competitors? Because they don’t operate branches all over the country, Quicken Loans has much smaller costs of doing business than the big bankers in their league. They’re also a privately held company so they don’t have to worry about shareholders demanding higher margins and profits at the expense of their customers. Quicken Loans passes on the savings of doing business online so you also save money. Quicken Loans zoomed ahead in the mortgage world because they streamlined the home loan application process for the digital age. Take the more traditional route and start your application process online before you speak with a Home Loan Expert and make your way through closing. You’ll never have to visit a bank or lending office and you can upload all your supporting documents right to your convenient MyQL Mobile account. The technologically-driven proprietary software that powers Rocket Mortgage is even faster. Start an application and Rocket Mortgage will search online databases for your personal information so you don’t have to look it up, fill the forms out, and provide pages of documents to back up your answers. You never have to speak with a human to get an approval because smart algorithms complete the whole approval process for you. Even though Quicken Loans designed their home loan application process with users who are tech-savvy and excited to use their online services instead of speaking with someone over the phone, you’re never left out in the cold if you get stuck along the way. You can always chat with a Quicken Loans expert by clicking the Chat link at the top of every Quicken Loans page, or give one a call during business hours. Need a little help during the Rocket Mortgage process? Just click the “Talk to Us” button (on every Rocket Mortgage page) and you’ll have all the answers you need in a jiffy. It doesn’t take a rocket scientist to figure out that Rocket Mortgage is hands down the fastest way to apply for a home loan. Once you make it through four screens of basic questions, Rocket Mortgage will connect with tons of online databases storing your personal information to verify your identity and borrower eligibility. Their proprietary algorithms will then let you know in as little as eight minutes(!) if you’ve been approved for a home loan. How many other major financial life milestones can you accomplish in less time than that? Closing procedures finalize the mortgage loan transaction between Quicken Loans and the real estate firm selling your house (or your current home’s lender). Besides avoiding the common pitfalls of closing on a loan, when you’re finally ready to close on your home loan, the last thing you want to do is jump through hoops to meet with your loan officer to sign mandatory closing documents. So what happens when you’ve only met your loan expert online? The only time you’ll ever have to meet with a Quicken Loans advisor will be during your closing. And even then Quicken Loans makes the process easy for you. A Quicken Loans representative will meet you anywhere you want to close your loan. So think outside the box and invite them to your favorite park bench, or your coworker’s office with the breathtaking view of the city. Your Home Loan Expert will be there! Imagine being one of those super organized people who have everything they need without digging through stacks of unorganized piles. With Quicken Loans’ MyQL Mobile, you’ll be one of those people… at least in regards to your home loan process. Sign into your account online ( www.myql.com) or take advantage of the on-the-go convenience of the MyQL Mobile app, which is available for Android and iPhone devices. Upload documents like your account statements, check on the status of your loan, and monitor the steps you need to complete before approval. You’ll even receive messages via MyQL Mobile whenever your Home Loan Expert needs you to e-sign a document or make a payment, all to make the mortgage process lightning fast. There are zero Quicken Loans brick-and-mortar branches, which means you won’t have the opportunity to meet with a home loan advisor in person and discuss your options. If you need to have an established relationship with someone in your neighborhood or bank, you may be hesitant to complete the whole mortgage application process online. But remember that since Quicken Loans forgoes the traditional branch route, they save money on all the expenses associated with the standard meet-and-sign process. Think about it: the big banks have to shell out for rent, electricity, internet, printer supplies, computers, doughnuts in the breakroom—all these expenses add up and are then multiplied across the nation. This costs customers higher rates and larger fees just to cover the bankers’ costs of doing business their way. There’s a reason Quicken Loans is America’s #1 online mortgage lender. If you don’t mind filling out an application online and virtually communicating with your Home Loan Expert, you’ll save money and eliminate the hassle of meeting with lenders during your hectic workdays. Unlike mortgage broker sites that represent home loans from several companies, Quicken Loans has been a direct lender for over 30 years, so you only see their rates when you apply for a mortgage online or over the phone. Since you can’t compare the mortgage rates of other companies on the Quicken Loans site, you should do your homework and price home loans from several lenders before giving Quicken Loans a solid yes. Even though their rates are low, the borrower eligibility criteria other lenders use may help you out more depending on your financial situation (ie., lower credit score requirements). While you technically don't need to be preapproved before you start looking for houses to buy, many real estate agents and home sellers prefer that you have one. First, it signals that you're a serious and well-informed buyer. A preapproval letter is a document from your home lender which states exactly how much house you can afford. This amount is calculated using your specific income, assets, and credit history and ensures that you don't browse houses out of your budget. Second, when you're pre-approved, you'll never miss out on a home because your home loan application took too long to finalize. You'll speed up negotiations by being one step ahead of potential homebuyers who are just starting the process. Can I defer a mortgage payment with Quicken Loans? A deferment allows you to temporarily skip mortgage payments for an agreed-upon period of time and then add those missed payments to the end of your mortgage term, basically allowing you to pay them later. If you anticipate a financial hardship that would cause you to miss your mortgage payment—such as an accident, job loss, etc.—it's important to get in touch with your Home Loan Expert sooner rather than later. You may be able to work out a payment system during your financial crisis instead of after you miss a payment. The consequences of missing a mortgage payment without speaking with a Home Loan Expert include late fees and a credit score nosedive between 90–110 points! Lower credit scores come with their own handful of negative side effects, like higher insurance premiums and added hurdles for mortgage qualification, so you'll want to avoid this at all costs. Will I get multiple calls/emails after signing up with Quicken Loans? Even though Quicken Loans is a direct lender and your information isn't sent to a bunch of random companies, several borrowers have complained about getting added to unrelenting Quicken Loans mailing, calling, and email lists. While you may not like their eager approach to get in touch, you can always ask to be removed from these lists ASAP, which has worked well for other online reviewers. What is Quicken Loans' BBB rating? Quicken Loans is at the head of the class, earning the BBB's top grade of an A+. And this wasn't just a one-time fluke: they've consistently held this high honor (which isn't easy to accomplish) since they started 32 years ago. The BBB doesn't evaluate services and products—they determine customer satisfaction and consumer trust levels. The secret to Quicken Loans' A+ rating lies in the fact that they receive very few complaints for a company of its size. And what few complaints they do receive are resolved immediately and to the satisfaction of their clients. The BBB looks favorably on companies that take the time to respond to each complaint and keep their complaint resolution stats high, which is why Quicken Loans has proven worthy of their stellar A+ rating. Does Quicken Loans run my credit report? Or affect my credit score? Even though other mortgage lenders and home loan broker sites will give you mortgage rates using a soft credit inquiry, Quicken Loans pulls a hard check on your credit before they'll show you theirs. A soft check will not impact your credit score; a hard pull will lower your credit score by a few points (but not usually more than 5 points). Don't let those other sites fool you; even though they're offering a soft pull, you cannot get your home loan approved without biting the bullet on a hard pull at some point. If you take Quicken Loan's early hard inquiry approach you'll have definitive numbers to work with since they're based on your actual credit history, whereas a soft pull will only give you guesstimates (and why you'll need a hard check later). Here's the silver lining: If you're hunting for mortgage rates and rack up a ton of hard inquiries, your credit score will only take the brunt of this cumulative activity once, as long as these checks occurred within the same approximate time frame. What are the most common complains about Quicken Loans? There could be more communication: A handful of online reviewers have complained about a lack of communication from Home Loan Experts once their mortgage application has been submitted. Other reviewers have not had any problems communicating with their Home Loan Experts via email or chat so it may just be personal communication preferences. Rocket Mortgage's minimum credit requirements are too high: Though no firm minimum exists according to the company, many have complained about being denied for a Rocket Mortgage with credit scores under 700. There's no opportunity for a second mortgage: Quicken Loans does not offer home equity loans or a home equity line of credit (HELOC). Other mortgage lenders may allow you to take out a loan and use your home's equity as the collateral when you need cash. How did Quicken Loans get started? Founded in 1985 by Dan Gilbert, his younger brother Gary Gilbert, and their friends Ron Berman, and Lindsay Gross, Quicken Loans (then called Rock Financial) was just like any other mortgage lender. You had to apply for a mortgage at a bank, credit union, or government/private lending agency. Dan Gilbert had the foresight to close their 28 local lending branches and focus on growing their online portal during the technology and dot.com boom of the 1990s. However, every state has their own unique laws and regulations regarding mortgages. So the Quicken Loans founders decided to hire staff with experience in local regulations from all over the country. It was a winning formula. For the first time in more than 30 years, non-bank lenders like Quicken Loans actually gave out more loan money than the big banks. According to The Wall Street Journal, banks loaned less than half of all U.S. mortgage loan dollars in 2016. If you use your smartphone to pay for your morning coffee, hail a ride from happy hour, and complete all your banking transactions online, you’re probably going to dig Quicken Loans when choosing a mortgage lender. Their completely online home loan application process takes the hassle out of dealing with a mortgage lender in person and gives you the convenience to start on your time, wherever you are. And if you use their Rocket Mortgage option, you’ll literally never have to speak to a representative before receiving a legitimate home loan approval. The Quicken Loans application process works best for self-directed borrowers who don’t need to ask a Home Loan Expert a ton of questions every step of the way. However, Quicken Loans’ award-winning customer service and dedicated team won’t be more than a click, email, or phone call away should you be less cool on the tech front than their target audience.